If I were to try 3 wines from the UK to challenge my perceptions of quality and value for money what would you recommend I started with? Can you share your top 3? 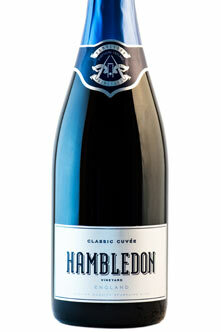 Definitely the Hambledon, and The Society’s English White is lovely and under £8! Our flagship English white wine, a blend of Madeleine Angevine, seyval blanc and phoenix, is zingy, fresh and dry, with citrus and white-fruit aromas. 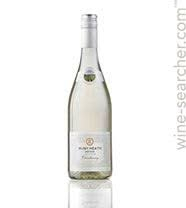 A perfect aperitif as well as a delightful partner to any number of fish dishes. Probably Nyetimber or the Exhibition English Sparkling for the final one, or Three Choirs rose if you like pink wines! We could even plan an informal #TWSTaste by sharing reviews of English wines that week. Regards the PN, I had a discussion in the autumn with my cousin who I have mentioned is a wine consultant, we were talking about the future of English still wines and PN was talked about as being planted in several sites with some up and running, I will email him and see if there is any further information on wineries that are actually producing. It would be a strange quirk of fate if England was to become a satelite producer of decent PN considering almost all other reds made here are quite low in the wanted stakes. I will also ask as to what other white grapes are being planted now, as the problem in the early days they were all German hybrids that were used for bulk wines in the Rheinhessen and Pfalz, such as Ortega, Sylvaner crosses, Huxelrebe, Muller-Thurgau etc, not the greatest individual grapes for quality wine. I’m keen to try this one as they didn’t have a 2015 vintage due to bad weather, HOWEVER at nearly £20… I’m not sure I would risk it. Their Horsmonden dry is a lovely aromatic wine which is a blend of primarily Bacchus, Ortega, Faber, Siegerrebe and Huxelrebe - all aromatic varieties . I’ve tasted a number of vintages now and I really like it. I’ve only ever seen one offered once, but Bacchus makes a sensational botrytised sweet wine. There is a sort-of icewine (made by bunging the grapes into a deep freeze!) 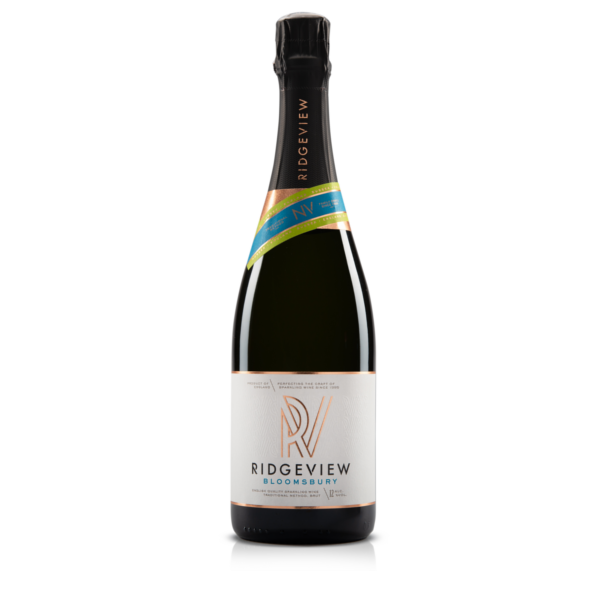 made by Hattingley Valley from their Bacchus grapes. It’s quite nice though not really worth busting a gut to get hold of. Not that expensive - more a curiosity really. Bacchus originated from Germany if I recall - where it tends to be regarded as a low-acid grape. That’s not something you could accuse it of in England! But it might serve to illustrate a point - the point being that what is a second-rate grape somewhere may turn out to be much better grape elsewhere. The converse also applies of course. The Hush Heath Chardonnay from Kent, tastes like Chablis with the mouthfeel of a Mosel. I should have also mentioned the wonderful Nyetimber rosé! It was the first English wine I ever tasted - must have been 2009, or 2010- at the Glynde food and drink festival, and it blew me away! I didn’t know English sparkling could taste so good…! I am very imprssed with Hush Heath wines, especially their fizz, but also their still, having tasted their range. Majestic has two of their fizzes, and Tesco own label English fizz is from Hush Heath - its stated on the front label. I’ll definitely be checking them out then! We’re fans of Langham’s as it’s relatively local in Dorset and Furleigh Estate bit further south and close by Steven Spurriers plot at Bride Valley. It comes from a village just outside Bury St Edmunds, and I haven’t come across any other Suffolk wines that I can remember. Picked it up from the English Wine Centre in Alfriston - well worth a visit if you’re in the area! Thanks for reminding me about the English Wine Centre, @Bargainbob! Haven’t been there for a while - and any excuse to visit Alfriston will do! Speaking of Alfriston - have you ever visited the Rathfinny Estate? It’s on my ‘to do’ list…! have you ever visited the Rathfinny Estate? It’s on my ‘to do’ list…! By co-incidence I was reading a long article about Rathfinny this morning while catching up on the Telegraph weekend magazine. 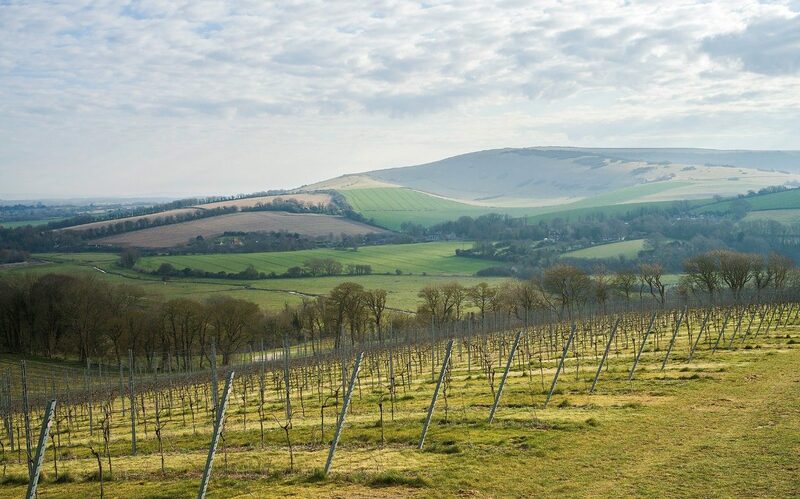 I’ve been meaning to visit their vineyard for so long - it’s only about 30 minutes’ drive from me, and in one of the prettiest Sussex villages. Good to hear they are being ambitious with their plans! And I read somewhere else too that Bollinger have been ‘sniffing’ around Sussex! Feels like I’m in the right county at the moment! The article about Rafinney says that both Taitinger and Bollinger approached them and wanted to be partners, but were turned away as Rafinney felt they had done all the hard work in setting up the vineyard and winery on their own, and they couldn’t see what the Champagne houses could offer them. Their winemaker has worked at a couple of major Champagne houses.